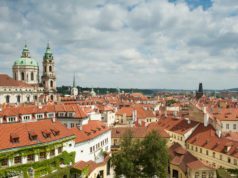 Autumn in Prague can be compared with a fairy-tale and going there at this time has many advantages: less crowds, romantic atmosphere, comfortable weather and fresh local goods. 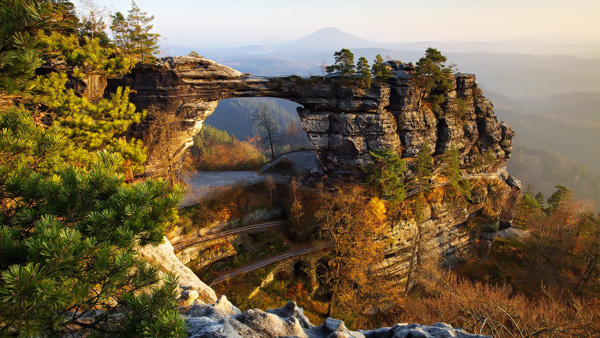 The mix of magical architecture and breathtaking nature will impress even the most demanding tourists. 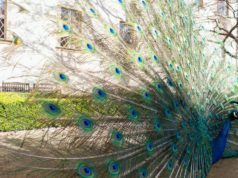 In this article you will find: weather in autumn in Prague, temperature, what to wear, what to do and calendar of events. Speaking about the weather, I divided Autumn in Prague into two periods: still warm and already rainy. The first one can stretch from September till late October, when the temperature keeps above +20 Celsius and people still wear summer clothes. Then it becomes more chilly and slightly goes down to +5, though still okay. 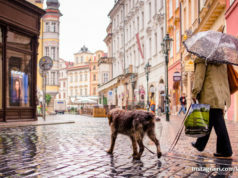 So let’s have a closer look at autumn weather in Prague. 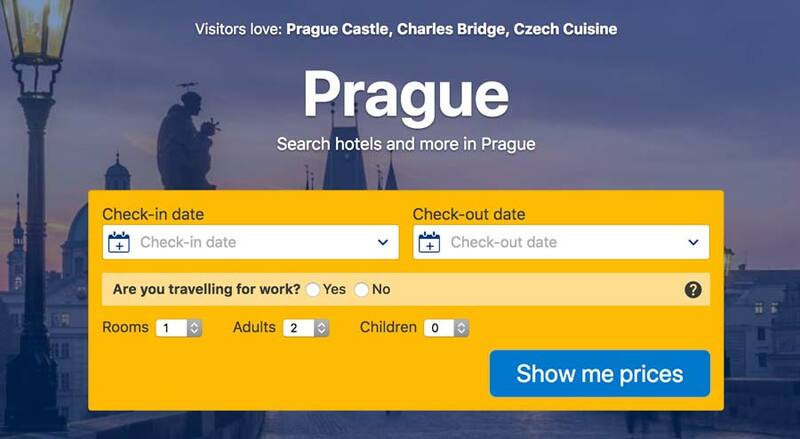 September in Prague is a continuation of high touristic season, but with lesser crowds. After hot August come a bit rainy days proceeded with Indian Summer. My first ever visit to Czechia was in September and I still remember how warm and comfortable it was. So in case you are thinking of the best time to travel to the city of 100 spires, pick up the beginning of the 9th month. First to weeks of September are usually very warm and almost with no rains. Sometimes the temperature surprises with +30 Celsius during the day and some chilly +15 in the evening. 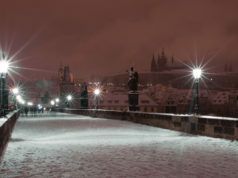 If you are lucky to be in Prague at this time, you will admire every single hour of your trip. Relative average humidity in September: 70%. 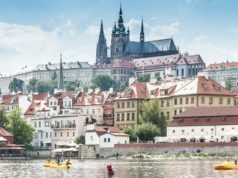 What to wear in September in Prague? 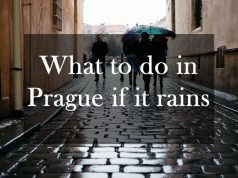 Thinking about the clothes you need to put into your suitcase before you travel to Prague in September, mind that rainy days still take place, though they are quite warm. Therefore you need to have at least two sets of things to wear: summer look for sunny days and autumn one for rainy. An umbrella or poncho should be in your backpack as well. October in Prague usually begins with warm and sunny days, when the temperature is about +18 Celsius. 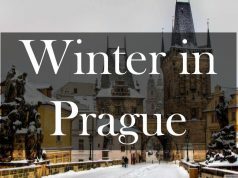 It is still a warm and comfortable month for traveling to Prague. Keep in mind that the tourist season goes down, thus more cheaper variants of hotels are available. 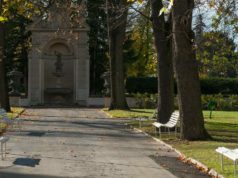 Unfortunately, the 1st of October in Czechia is the last day, when numerous Czech castles, parks and gardens work. Therefore the number of things to do and to see in Prague decreases. 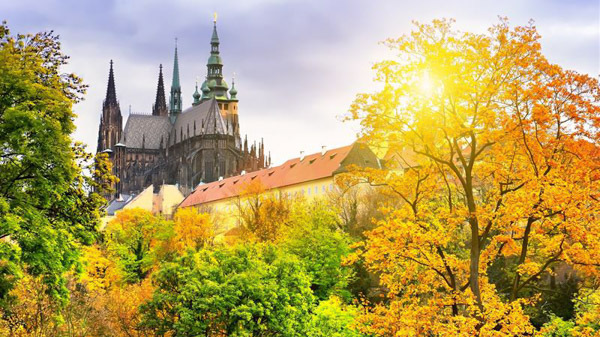 October is a very beautiful month and good choice for a visit in Autumn in Prague. Because of Autumn weather it is very bright in the city. 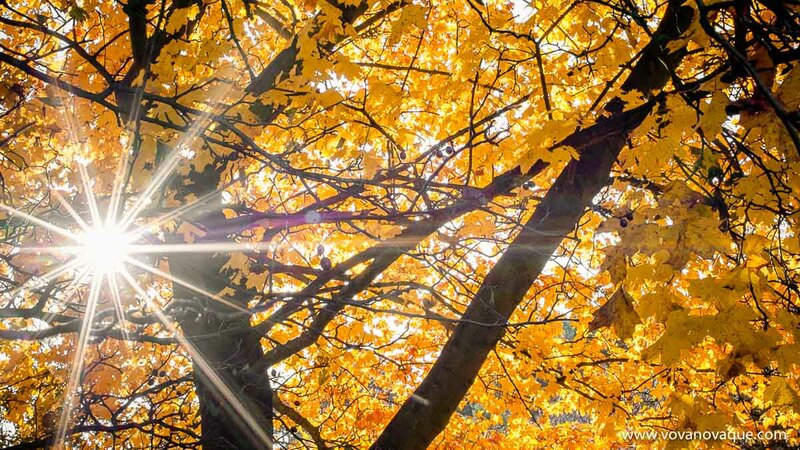 All trees are colored in yellow, golden, orange and a bit green. Huge fluffy clouds hid the sun and create amazing light. It creates those romantic atmosphere, especially in parks and gardens. Relative average humidity in October: 80%. What to wear in October in Prague? First of all make sure that there are enough water proof shoes and an umbrella or poncho in your bag. I would not recommend very light clothes, but rather to take jackets and coats. For fashion lovers, October in Prague is a nice opportunity to wear fancy hats and coats. Also mind the shoes, they should be very comfortable, because cobblestones after the rain are very slippery. November in Prague is a real farewell with the Sun. This yellow object disappears from Czech sky and seldomly pays visits. So make sure that you plan your trip properly and get enough warm clothes. 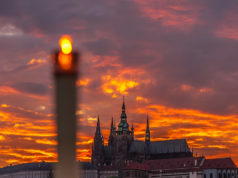 I personally call November the month of Museums in Prague or the most poetic month. Grey is the main color of November in Prague the same is the weather. There is always space for tricky game of sunny and rainy hours. November mornings can be bright, but in the afternoon it can rain cats and dogs. 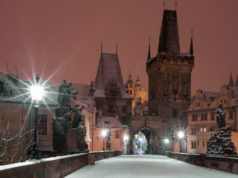 Therefore I recommend to wake up as early as possible and to discover Prague attractions in the best way. Relative average humidity in November: 81%. What to wear in November in Prague? Since November is already on the boarder between Autumn and Winter, you need to have waterproof clothes and shoes as well as hats and gloves. Mornings and evenings can be very chilly. I personally usually put on rubber boots. You can buy a pair of such shoes in VnitroBlock. Best burger bars in Prague. Most noteworthy that there are many wonderful places around Prague too. 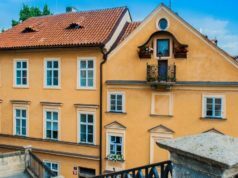 In a case you love adventures and are eager to explore towns, castles and Czech nature, this article is exactly for you: Day trips from Prague. 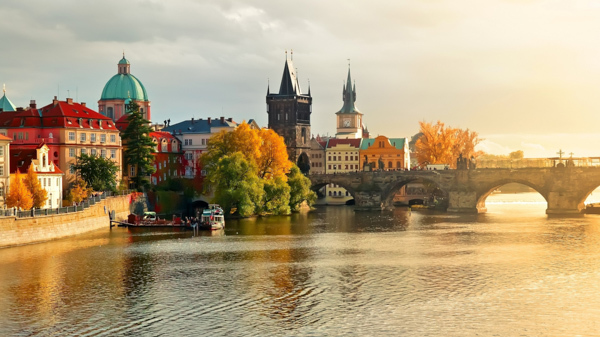 The most attractive events in Autumn in Prague are closely linked with agriculture. Harvesting time has always been a festive period, because from old times Slavs used to share the fresh vegetables, fruits and wine. Therefore, the period from September till November is attractive for food and wine lovers. Day of the Struggle for Liberty & Democracy – Public Holiday: 17.11.2018. 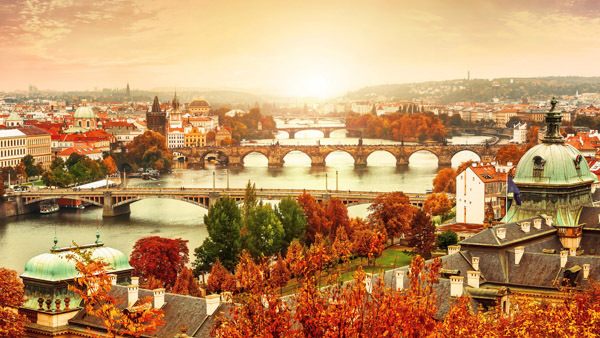 Autumn in Prague is very interesting period with lots of tasty and colorful events. Local farmers bring lots of fresh fruit and vegetables to the markets. Wine shops offer tastings and generally the atmosphere of the city is amazing! 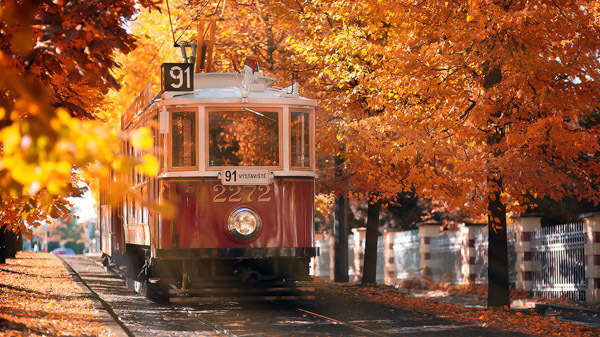 Autumn in Prague is a perfect season. The weather is nice, there are a lot of event in the city and most of the tours are still available.